Vacherin Mont d'Or is one of my favorite cheeses. Made in one of the coldest regions of France, it was made so farmers could have something akin to milk in the winter. When the cheese is ripe you can cut the top off and eat the gooey innards with a spoon. Unfortunately, it's hard to come by and can be of rather dodgy quality when you do find it in the US. Carla, knowing I haven't had a good Vacherin for at least a year, surprised me with something even better! Rolf Beeler is a cheese affineur in Switzerland. He's been called "the Cheese Pope," and that's not even too much of a hyperbole. While he doesn't make any cheeses, the cheeses that he does age will take on a celestial magnificence. He ages, washes, and brushes 18 different styles of raw-milk cheese from select cheese makers around Switzerland. Flada is one of these. Flada is about 8-10 oz and comes packaged in a small wooden box. 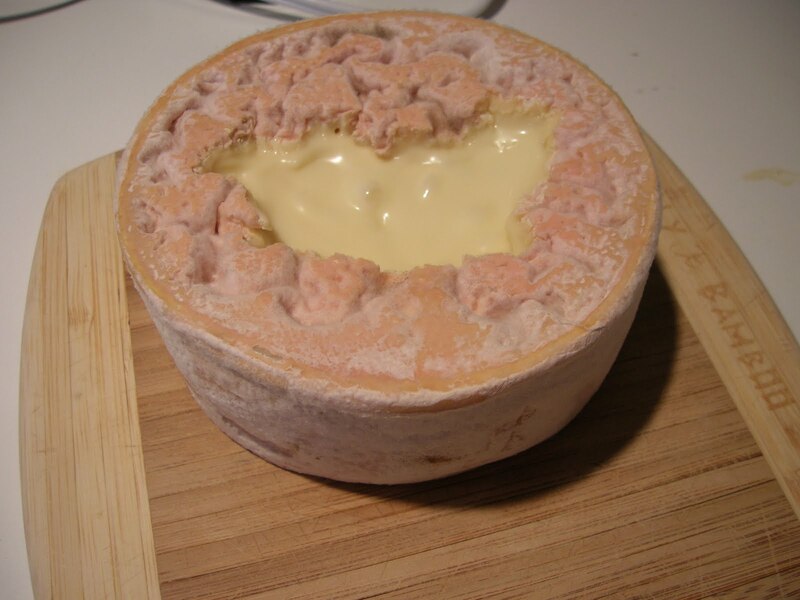 Unlike Vacherin, which has a ring of spruce bark around the waist, Flada just relies on a thick, smear-ripened skin to support its runny paste. The spruce seems to give Vacherin a slight mushroomy flavor, but even without this woodsy enhancement Flada is anything but lacking in flavor. With a pungent, beefy aroma, you know at once this is going to be an amazing cheese. It tastes like a blend between a liquid Appenzeller (zesty, savory, and nutty) and an Epoisses that isn't too salty. 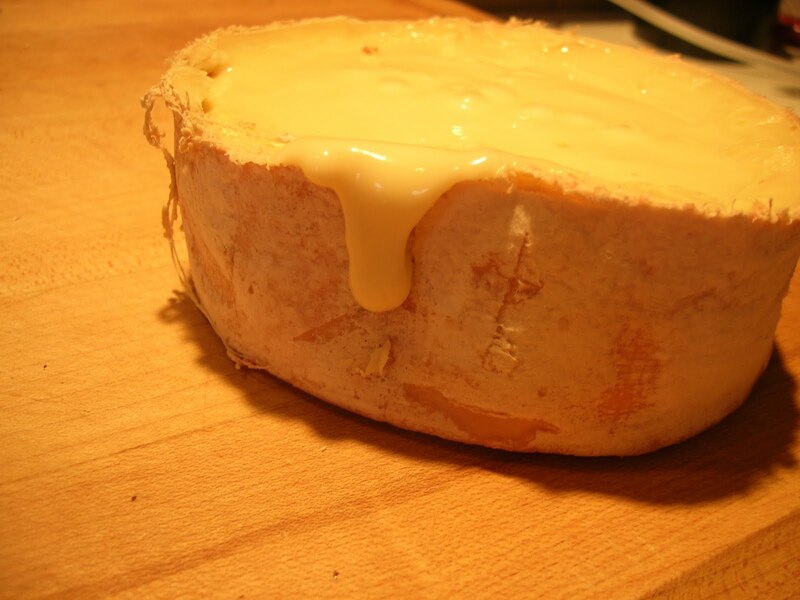 But while some gooey cheeses seem to run rampant over your palate before prematurely fading away, Flada slowly unravels into a tantalizing finish of pure, raw Alpine milk. Oooh, just thinking about it makes me want another!